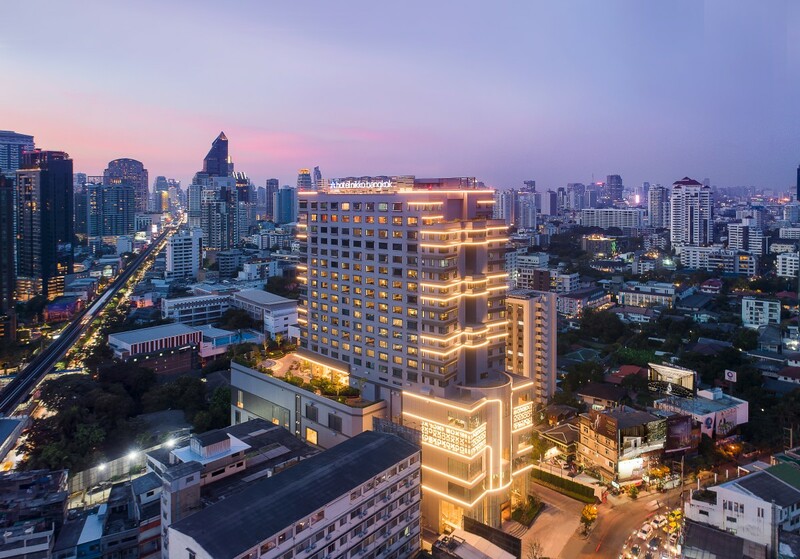 Hotel Nikko Bangkok is located in the heart of Bangkok, Sukhumvit Road. The neighborhood has become a trendy area of the city in recent years, with a wide variety of restaurants, bars and shops. The hotel, in addition to being in this lively part of town, will also be convenient: the nearest Thonglor BTS Skytrain station, is only 2 minutes walk from the hotel, and Bangkok Suvarnabhumi International Airport is 24 kilometers away. The 301 rooms Hotel Nikko Bangkok occupies 22 floors above ground and 4 floors in the basement. The hotel’s facilities will include Japanese and all-day dining restaurants, an executive lounge, 850 square meters ballroom and several meeting facilities, a fitness facilities and outside pool.